Kauai offers a variety of vacation homes to choose from so that you can enjoy your memorable stay in this beautiful paradise, the right way. The most popular locations to explore rental property types include Princeville, Hanalei, Kapaa, Hanalei Bay Resort, and Waipouli Beach Resort & Spa. Be it cottage rentals, cabin rentals, vacation condo rentals, or vacation apartment rentals, you can find them all with ease at Kauai. 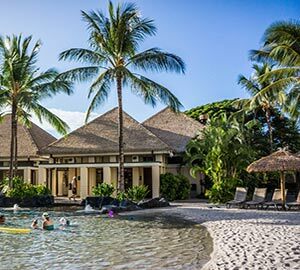 Set amongst the vast greenery, plush environments, seaside, and beaches, these properties offer a proper lodge and staying for you to stay while you explore the breathtaking destination that Kauai is. 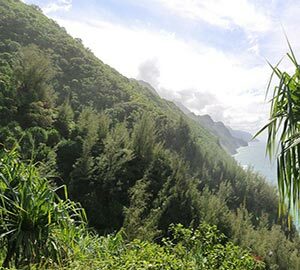 Na Pali Coast State Wilderness Park – Kauai’s top vacation destination, this state park is the perfect place to have a fun adventure, thanks to its towering waterfalls and sea cliffs. Add to that, a frolic hiking session on the Kalalau Trail! 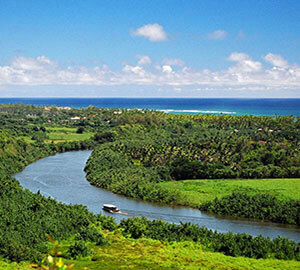 Princeville – A top attraction for zip-lining, surfing, and mesmerizing beaches. 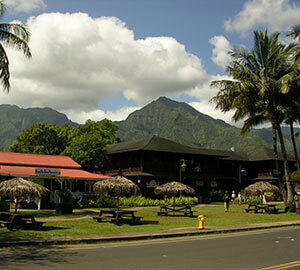 Hanalei – A beautiful town surrounded by mountains and taro fields, along with Lumahai Beach and surfing in the Hanalei Bay. 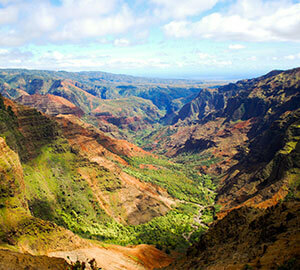 Waimea Canyon State Park – A beautiful gorge with breathtaking canyon views. Perfect for your Instagram uploads! 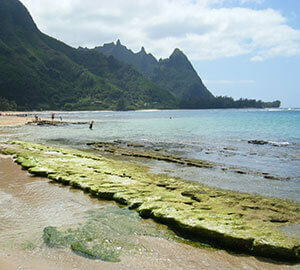 Kauai accommodates more than 3,000 accommodations for all tourists who come to visit and affordable ones as well. 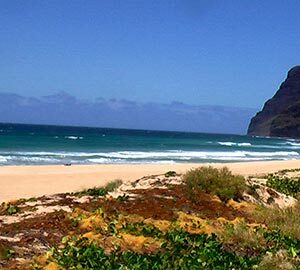 Booking hotels in Kauai are very easy, you can book hotels at quite affordable prices, as well as do your own hotel search to find that perfect hotel with the sea-view. Tripinn is also a great hotel finder to help you find accommodation of your choice while you stay in this beautiful island. The three main regions that have the majority of accommodations in Kauai are the North Shore, East Coast, and South Shore. On the North Shore, the towns of Hanalei and Princeville possess luxury resorts, packed with golfing, dining, and spa facilities, among many others, to create the perfect combination between luxury and greener living. The densely populated East Coast also called the Coconut Coast, and the South Shore has a vast number of resorts, hotels, and affordable vacation rentals to offer, as well as family-friendly beaches that are ideal for your kids. The towns of Waimea and Hanapepe also offer plantation cottages and inns that are even affordable and also give a simple feeling, unlike the skyscrapers and sky-high buildings of quintessential towns. The untouched splendor of Kauai makes it the best destination to escape from it all for a whole; it is the island where chickens roam free and buildings are no taller than coconut trees. While you sit in your comfy vacation homes, you can plan out the perfect itinerary to explore this beautiful island. Here are some of the best things to do and see here, and most of them won’t be too far from your vacation rentals as well! 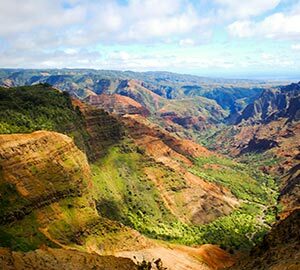 Waimea Canyon – This should definitely be on your list as the Waimea Canyon is deemed as the “Grand Canyon of Pacific”, and therefore, you cannot miss this breathtaking sight. You can also go on the Cliff Trail or the Canyon Trail Hike as part of visiting this canyon. Koke's State Park – Located just past the Waimea Canyon, this is a must-see, because of its views of the Na Pali Coast from the top. The landscape feels like a totally different planet, which means that you’re in for quite the treat. Tubing Down a Mountain – Sure, surfing is quite a popular option, but try out mountain tubing through Kauai’s old sugarcane irrigation system, a once in a lifetime experience. Eating Shave Ice – Local delicacies are a must-try for any destination. At Kauai, treat yourself to the numerous varieties of shave ice, until you find your favorite. The 21st Century has been the most revolutionizing century, making human beings more advanced and hungrier for success and higher living. As a result, our lives have become “fast and furious”, so to speak. The simple things in life fade away into the daily hustle and bustle, and very rarely do we get an opportunity to take a break and unplug ourselves, away from the congestion of people and vehicles, from the nine-to-five jobs, and the sheer wrath of responsibilities. Thank God that something like vacations exists, to help us take a break from all this. Kauai, Hawaii, is the perfect getaway for a peaceful vacation. Let’s take a look at what it’s all about. A cool little fact to get you started – Kauai’s scenic beauty, especially its dramatic cliffs, forests, and Na Pali Coast pinnacles, has helped it become a popular backdrop for many Hollywood movies, hence, more reasons for you to visit this awesome destination! 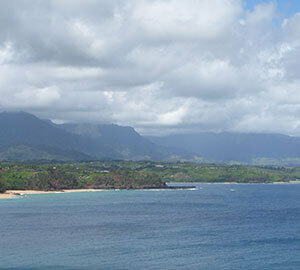 Kauai has quite the history behind it, which makes it a highly sought after tourist destination. 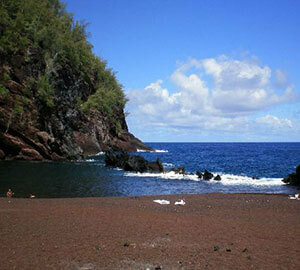 Famed explorer Captain Cook had landed on the west side of Kauai when he first arrived in Hawaii. 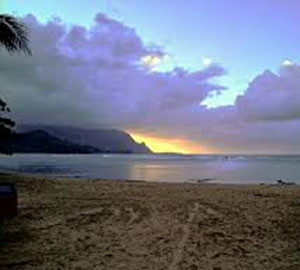 Since the early 1900s, film-makers have used Kauai as a backdrop for their movies several times, owing to its scenic beauty. Located close to Lihue, the Alekoko Menehune Fishpond is a classic example of ancient Hawaiian engineering, as it was built almost a thousand years ago and still exists quite beautifully. These are just some of the reasons why you should definitely have Kauai in your to-visit list for vacations. 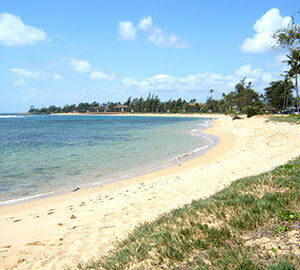 Worry not, Kauai is home to numerous vacation rentals, vacation home rentals, and even pet-friendly vacation rentals. Hence, you as well as your best buddy can enjoy the stay! There are 3,761 vacation rentals for you to choose from, so what are you waiting for? Worry less about rental properties and more about what all spots you need to explore! It’s very obvious that life in Kauai isn’t very fast forward like New York or San Francisco, but that can be a good thing actually. The hustle and bustle of city-life can often get to you at times; hence, a peaceful island like this can definitely be better. Even though you cannot just go and live there (I know you would if you could), you can experience life at Kauai while you stay there in your vacation rentals. One of the main reasons why Kauai is such a great vacation destination is because of its simple yet fun lifestyle. Living in Kauai means getting to see the breathtaking Na Pali coast, whose view, locals say, makes them cry. Kauai thrives on a healthy lifestyle, thanks to this main hobby, exercising, and sweet lunches made from the local produce, making this island possess the highest average life expectancy in the United States. So, you know your trip won’t be tolling your health in any way. Thanks to its lush greenery as well as the fact that every local has a garden, Kauai makes for the perfect trip to bond with Mother Nature, hence, thousands of tourists visit this island every year to unplug from the boisterous city-life. Apart from the blissful scenic beauty and the numerous surfing and hiking trips, one more thing that you need to experience in this dreamy island, are its festivals. Kauai festivals are fun to experience and they also throw a light upon the diverse culture of the island. Most of the vacation rentals, vacation apartment rentals, and vacation home rentals are situated close to the venues of these festivals, so you need not to worry. The must-see festivals of Kauai include the Kauai Mokihana Festival (in September), that features a fun hula competition, cultural workshops, and performances by the locals. 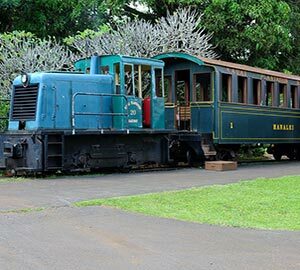 Next, the Koloa Plantation Days Celebration (in July) in which the Old Koloa Town is transformed into a vast gathering town for entertainment, food, and a beautiful parade honoring the diverse heritage of Koloa. 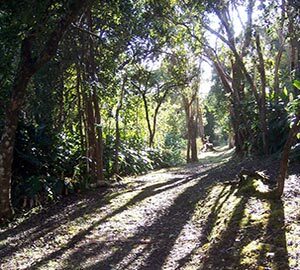 Another festival that attracts many is the Eo E Emalani I Alakai Festival (in October) in the Kokee State Park. This festival pays homage to Queen Emma’s historical journey across the Alakai swamp and forest and features a great hula competition showcasing talented dancers from across the globe, lasting three days. So, what are you waiting for? Treat yourself to these amazing festivals and experience what Kauai has to offer. Kauai is one of Hawaii’s top attractions, but 70% of it is inaccessible by foot. So, how do you get to the “Garden Island” for the perfect getaway? Simple – flight booking. When you’re planning your trip to Kauai, one of the most important things to consider is how to get there, hence, air ticket booking and flight booking is the best way. Usually, airline travel varies depending on the season and the fares are competitive as well. For online flight booking and start your trip the right way to book your ticket at tripinn. 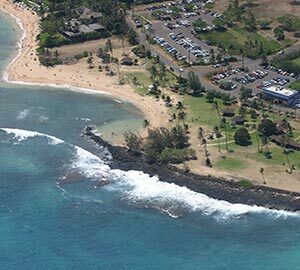 The perfect way to reach Kauai is a direct flight from east coast or west coast hubs, but you can also take a short trip from Honolulu or Maui International Airport if no direct flights are available. 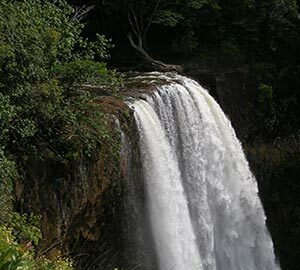 Kauai is definitely a must-see destination for any tourist, especially explorers who want to explore what Mother Nature has to offer, from the vast greenery to the diverse cultural programs and festivities. Sure, there are places like Vegas and Bangkok where you can have tons of fun, but if you want to unplug from the man-made forests and dwell deep into nature, Kauai is one of the best places to do so. So, what are you waiting for? Start planning you are itinerary and booking your tickets, Kauai awaits!